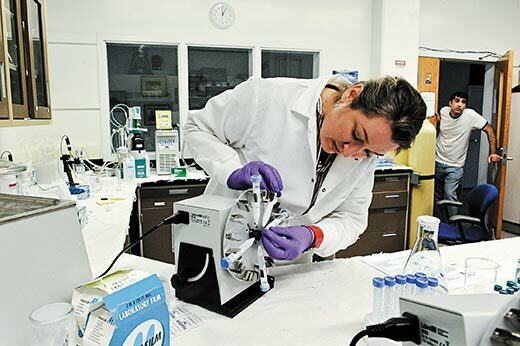 Since 1996, Hazen's lab has been engaged in a variety of chemical studies related to the origin of life. Hazen's guiding principal is that the origin of life was a geochemical processes that resulted from interactions of oceans, atmosphere, and rocks and minerals. Any plausible origins scenario must be consistent with geochemical constraints. Much of this work has focused on environments at moderately high temperatures (<300ºC) and pressures (to 5,000 atmospheres).